But don’t confuse small wind with turbines on a rooftop. It’s wind week at WindPower 2010. Maybe small wind won't be so small in the future. The just-released American Wind Energy Association (AWEA) 2010 Small Wind Market Study shows the industry sold 9,800 turbines in 2009, a jump of 15% over 2008, with cumulative capacity coming to 9.8 gigawatts. Small wind turbines generate up to 100 kilowatts. 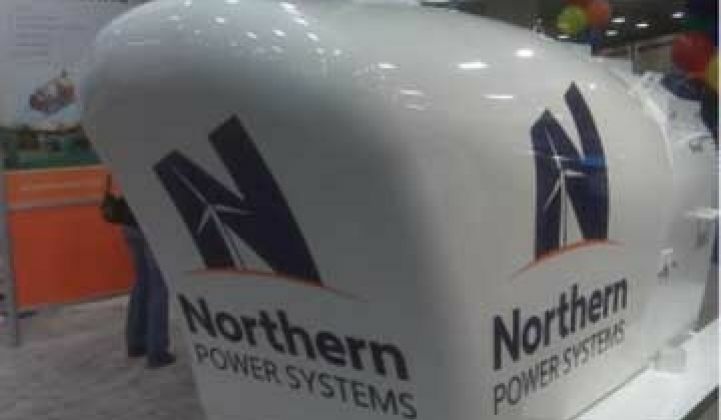 That's a 100 kilowatt turbine from Northern Power that was photographed at WindPower 2010 this week. 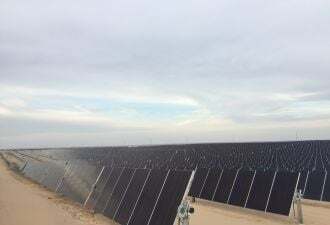 "Not bad considering there's a recession going on and this is a big ticket item," Ron Stimmel, AWEA's Manager for Small Wind Systems, said in an exclusive interview with Greentech Media. Small wind is still a niche, but it's getting bigger. The total wind capacity added last year topped 38 gigawatts, with a cumulative capacity of over 159 gigawatts. Worldwide, the energy capacity of solar panels in the ground will likely surpass 30 gigawatts this year. Approximately 6.4 gigawatts went into the ground last year and the figure for new capacity this year will likely exceed 11 gigawatts. "There's a huge difference between what we consider small wind and rooftop wind -- 99% of all small wind turbines are installed on tall towers in open spaces," Ron Stimmel, AWEA's Manager for Small Wind Systems, said in an exclusive interview for Greentech Media. "When you get to a rooftop, the economics change tremendously because the resource changes tremendously. You don't get laminar flow [which is a good thing in wind]. What you get instead is a lot of turbulence." A number of people have wrestled with ways to use wind in urban settings, but they have discovered that the sites with really good wind access are few and far between. 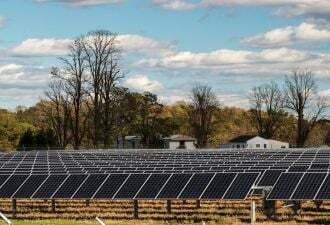 "If you're in a city," Stimmel said, "solar panels are a better bet." In many cases, it's not an either-or situation, Stimmel went on to explain. 90% of all residential small wind turbines also have a solar component installed with them. "They're natural complements," he said. Winds usually pick up at night, after all, and most of the local dealers who sell small wind turbines also sell rooftop solar systems. A small wind turbine needs open space around it to prevent turbulence. The general rule of thumb is that the turbine needs to be at least 30 feet higher than anything in a 500-foot radius to maximize its performance." It doesn't matter how high up you go. In fact, the higher the building, the stronger the winds. But the turbine nacelle and blades have to be 30 feet above it. Besides the standard three-bladed, horizontal-axis turbine now becoming familiar sight across the landscape, there are a variety of unique and innovative machines being developed. Stimmel didn't disrespect these newcomers, but did point out that the standard model has an 80-plus-year history of performance and emerged from "the so-called configuration wars of the 1980s" still dominant. "However," he acknowledged, "it doesn't seem to be keeping a great number of manufacturers from toying with the idea of very different designs. Irrespective of what it looks like, as long as it's producing kilowatt-hours cheaply and reliably, that's the Holy Grail." The many innovative systems, like vertical-axis designs from Windspire, draw an inordinate amount of attention, especially when proponents make big claims. But the fact is that most such conspicuously iconoclastic machines are capable of producing only very small amounts of power, often less than a standard rooftop solar system. Among the successful makers of the standard three-blade model, Southwest Windpower and Northern Power are regarded as the industry leaders. Some say Endurance is an up-and-comer. Parthiv Amin, the President of Community Wind, Northern Power Systems, pointed out that the really important thing about small wind systems is that they are located where people actually live. That's why it is crucial that the turbines be safe, quiet, reliable and affordable. "The key thing that small wind does," Amin said, "is put wind close to the hearts and minds of people. 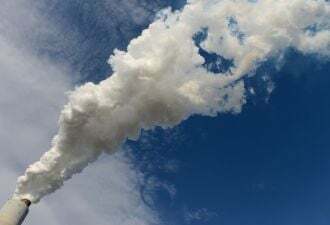 If people are convinced that putting these systems in their backyards is safe, reliable, economical, and quiet, then they are more supportive of big wind farms that are coming closer and closer to the communities."